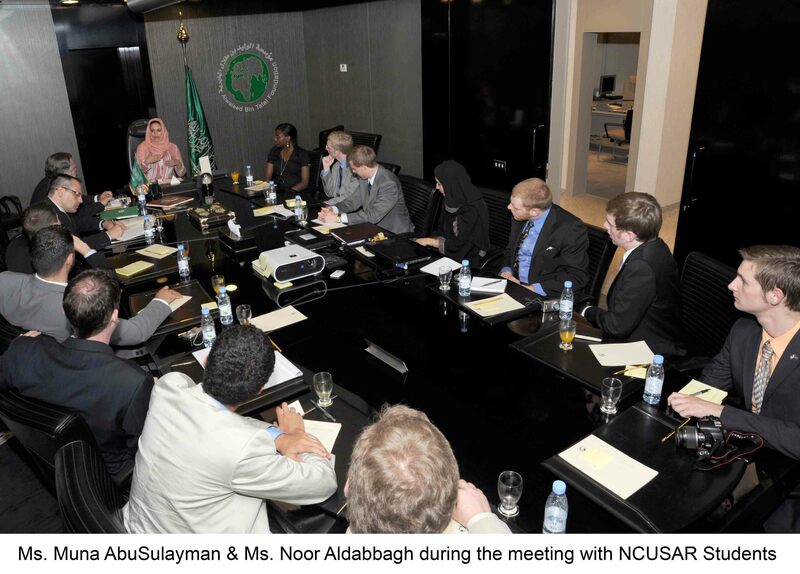 The National Council, in partnership with the Saudi Arabian Cultural Mission (SACM) and Saudi Arabian Ministry of Higher Education (MOHE), escorted a delegation of nine Model Arab League students on a cultural immersion study visit to the Kingdom of Saudi Arabia, June 6-16, 2010. HRH Prince Turki Al Faisal − Chairman, King Faisal Centre for Research and Islamic Studies, Riyadh, Saudi Arabia; former Saudi Arabian Ambassador to the Court of St. James and the United States of America; former Director General, General Intelligence Directorate, Kingdom of Saudi Arabia. H.E. Houda Ezra Nonoo − Ambassador of the Kingdom of Bahrain to the United States. In 2006, Ambassador Nonoo was appointed by His Majesty the King, Shaikh Hamad Bin Salman Al Khalifa to the Shura Council; serving on the Committee for Finance and Economic Affairs. Mr. David D. Arnold − President, American University in Cairo; former Vice President, Institute of International Education (IIE); former Ford Foundation Representative in India.